can anybody identify this bike? Hi all. Im after some help to figure out what bike and model is in the picture below. My grandfather passed away 2months ago after a long battle with cancer. 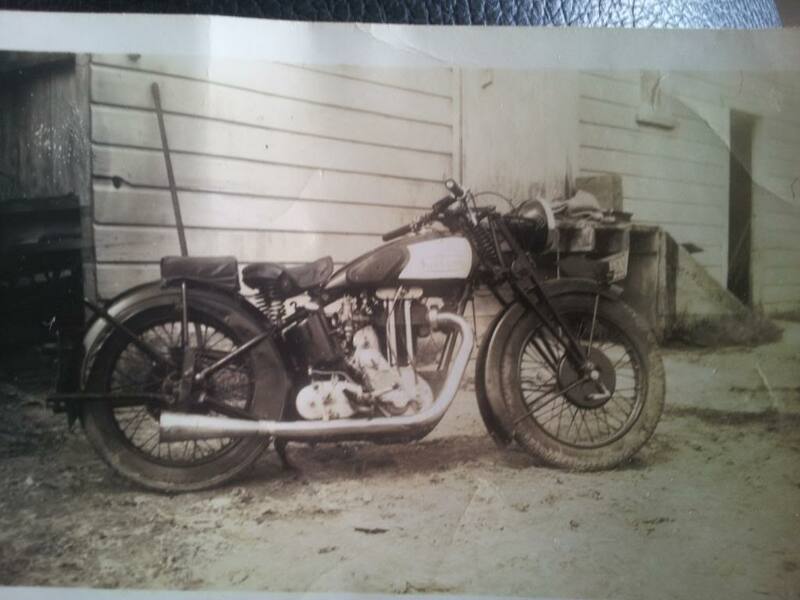 I was gojng through old photos with my grandma for funeral purposes and came across this one of a very old very cool looking bike that was the old boys back in his day. I think its a sunbeam or atleast part of one. Any help to identify it would be sweet. Sorry about your loss, no clue what kind of bike this is. Do you happen to know where it was taken? Would narrow down brand availability. The girder front end and engine case design helps some too. Most sunbeams I've seen have a metal name plate that's almost round. Terrible to hear about your grandfather KB. 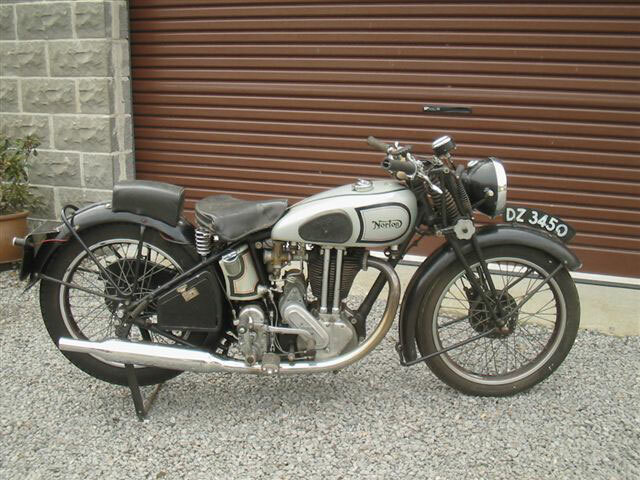 As far as the motorcycle - it sort of looks like a '20s-'30s Harley Davidson or Indian single cylinder. The rocker box (specifically where the pushrods are) is throwing me off. Was that photograph from NZ? If you look closely at the tank, you can almost make out the Norton logo. Three pics, three different exhausts, the oil tank fill hole is on the wrong side as well as the kick levers, I wouldn't be surprised if that pic would have been developed the wrong way and we're actually looking at the left side. Pretty convinced that it's at least a Norton, what year etc comes to minute details. Was it StealthCBR929 that works on old brit bikes for living, throw him a PM, if he can't ID it I'm sure he's got someone at work that will. Last edited by Mattson; 06-11-2014 at 10:20 PM. I will ask him, but I doubt he knows much about the vintage stuff. Quick Reply: can anybody identify this bike?